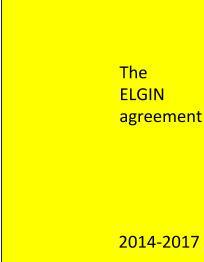 This page provides links to the various resources related to the Elgin Teachers Association Teacher Appraisal Plan (TAP). The most recent version of TAP was updated in July 2015. We are happy to present the complete TAP document in electronic format. The printed version of this document is nearly 90 pages in length with the embedded resources. This document fully incorporates both the Professional Practice and Student Growth components of the Teacher Appraisal Plan (TAP). As updated from the work in 2007. This process is intended to provide you with a means of accessing answers to specific questions about policies and procedures related to the Teacher Appraisal Plan. As such, any desired remedy should fall within this scope.